MCU star Chris Evans just spent some quality time on Capitol Hill this past week. While he brushed elbows with the most elite of Washington, one Congressman in particular pulled him aside and showed him something truly remarkable. 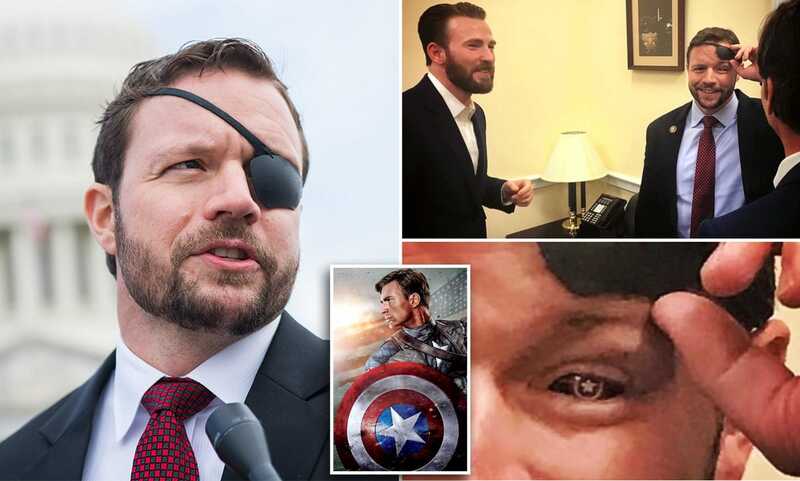 Dan Crenshaw went on to remove his eye patch briefly to show Chris Evans his glass eye, which was a custom made one with the Captain America insignia. Crenshaw is a US Navy veteran who lost his eye after getting injured by an explosive device while touring in 2012. He retired as the Lieutenant Commander in 2016, earning two Bronze Star Medals, Navy and Marine Corps Commendation Medal with valour and the Purple Heart for services in the Navy Seals and to the United States. 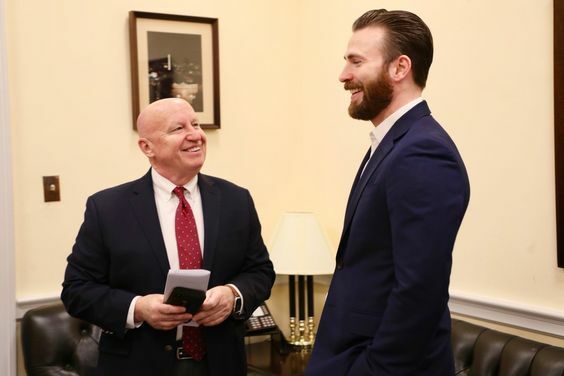 Senator Tim Scott earlier posted a picture alongside Chris Evans saying that both of them discussed a great deal about various political issues. Chris Evans even retweeted him, joking that the Senator shouldn’t reveal any Avengers: Endgame spoilers that he accidentally spilt out. Chris Evans will return to reprise his role as Captain America next month in Avengers: Endgame. Captain Marvel is running in theaters worldwide now while Avengers: Endgame releases on April 26th followed by Spider-Man: Far From Home opens on July 5th.